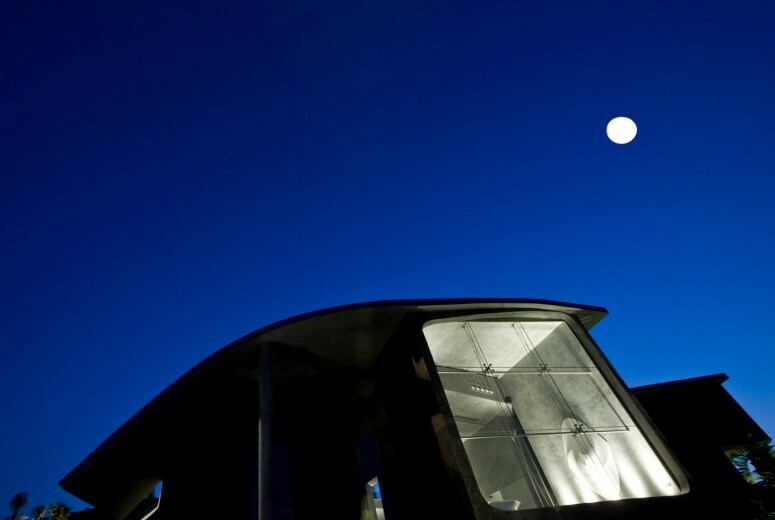 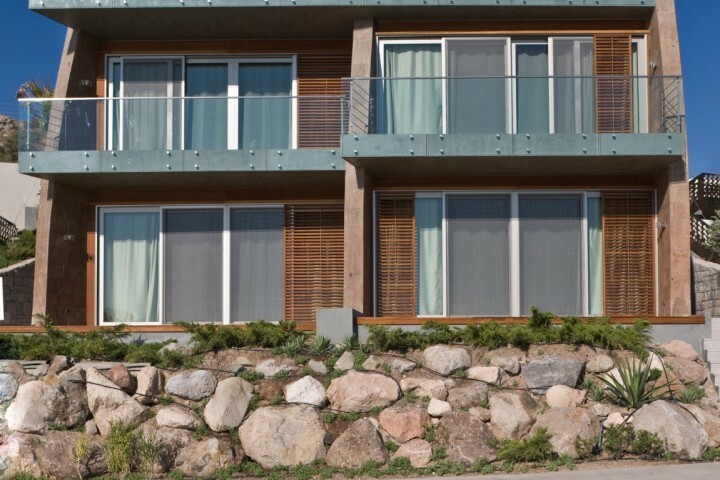 The KUUM Hotel Spa & Residences is an innovative concept for boutique lifestyle and resorts. 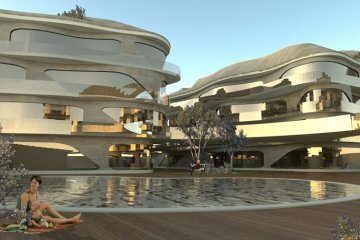 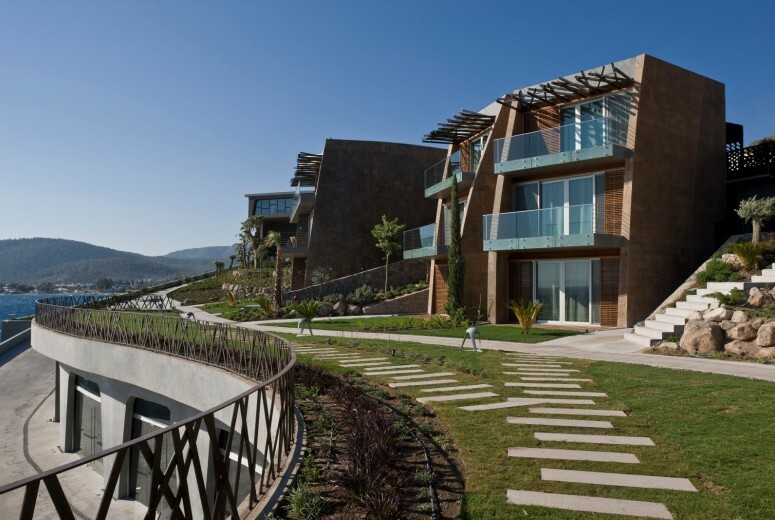 The architecture for KUUM was inspired by the regional beauty, resources and historical legacy of southwestern Turkey and the Aegean Sea. 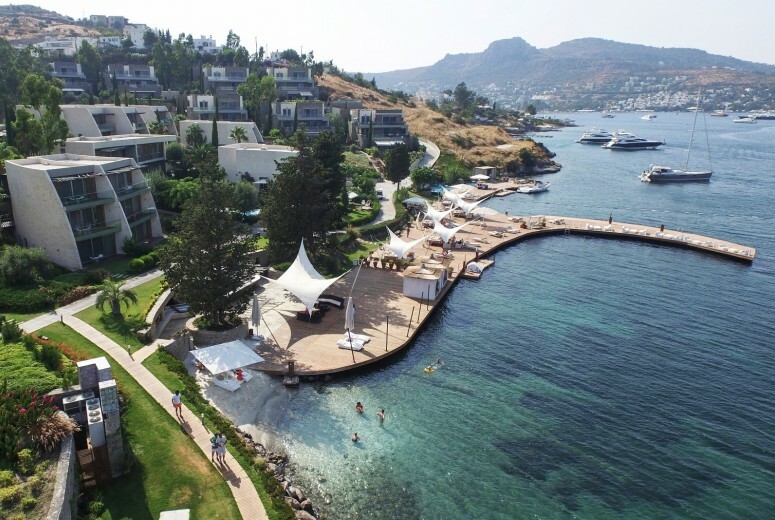 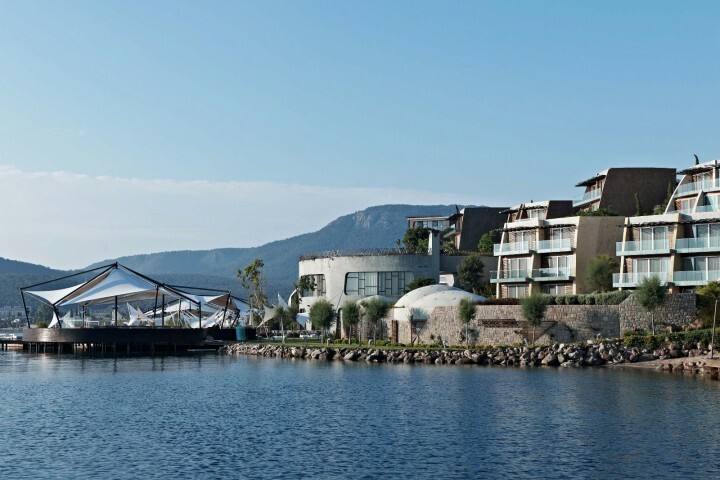 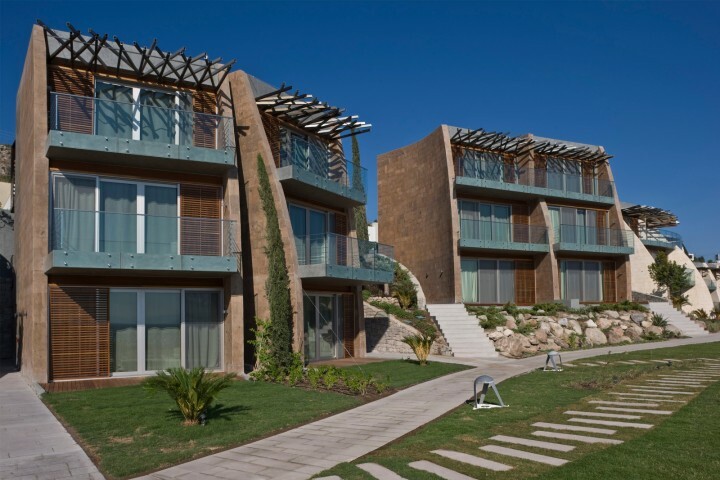 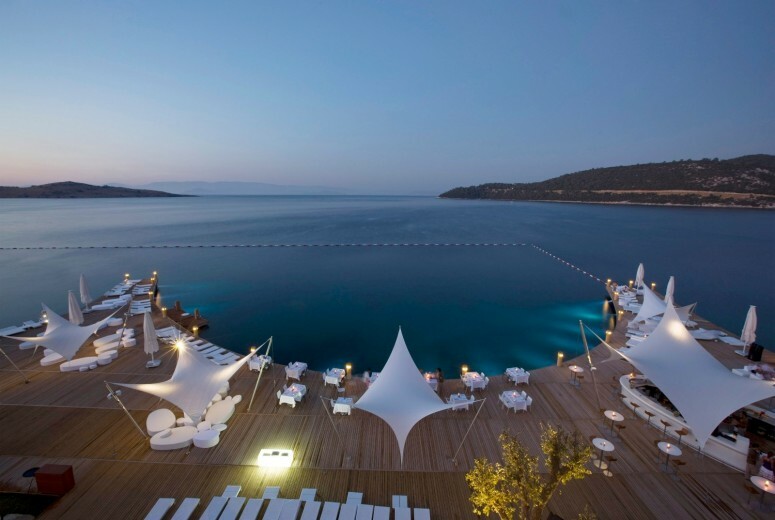 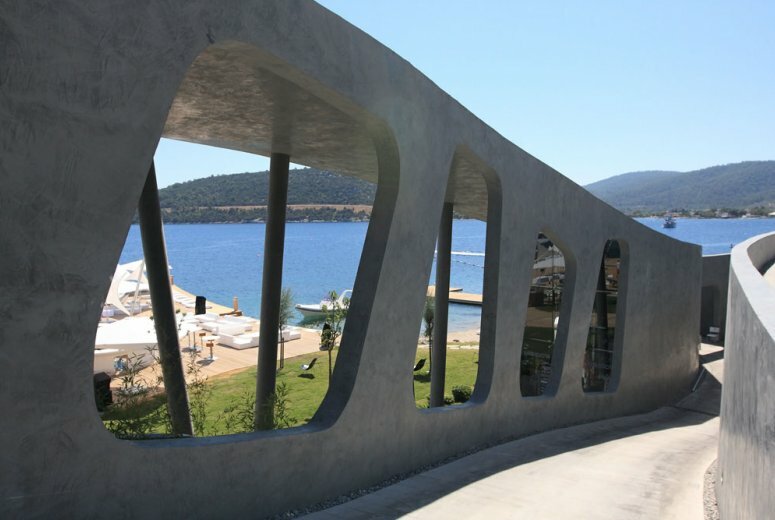 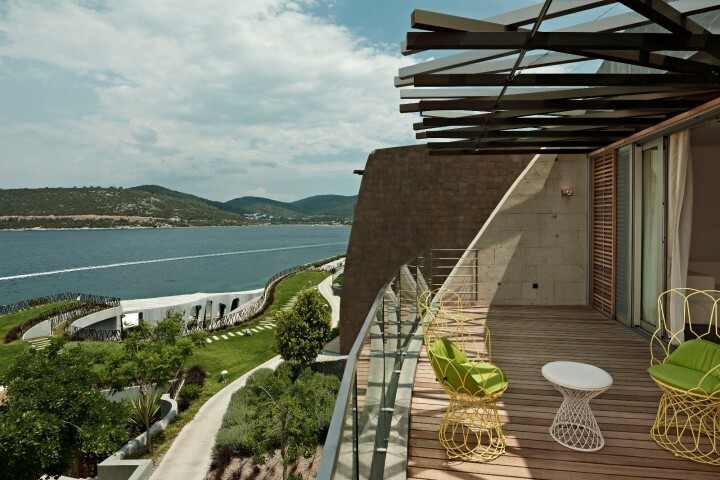 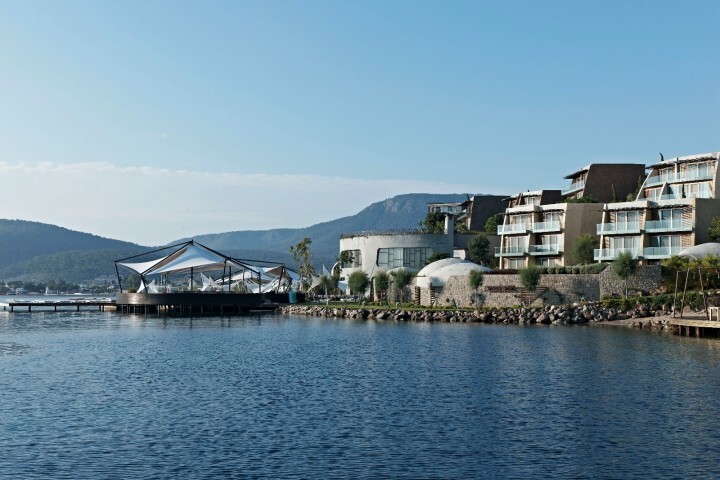 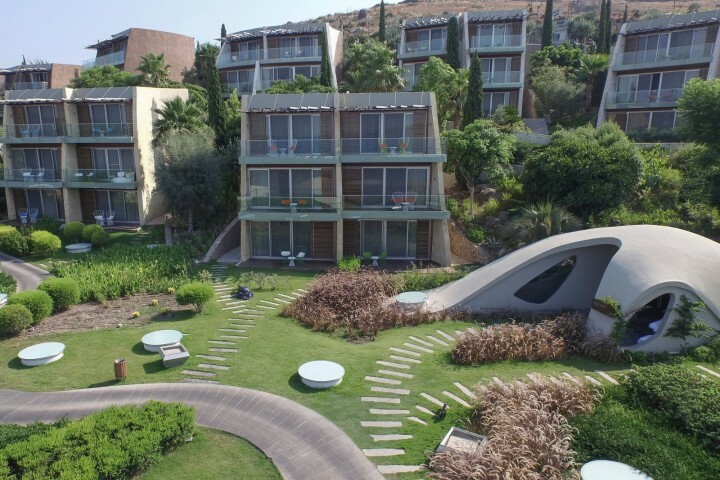 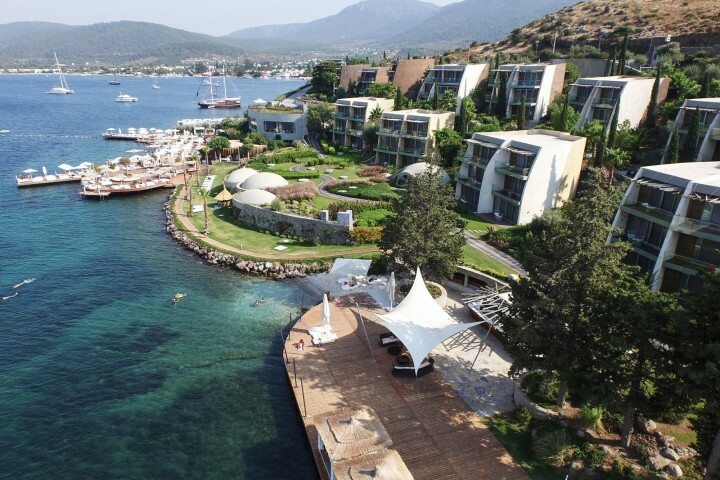 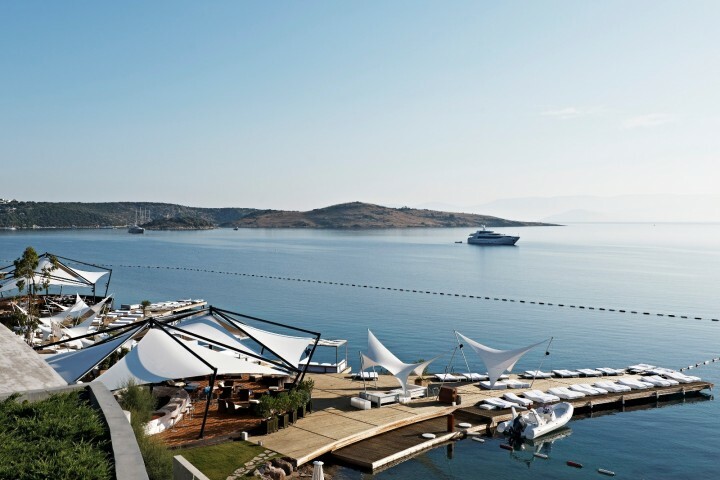 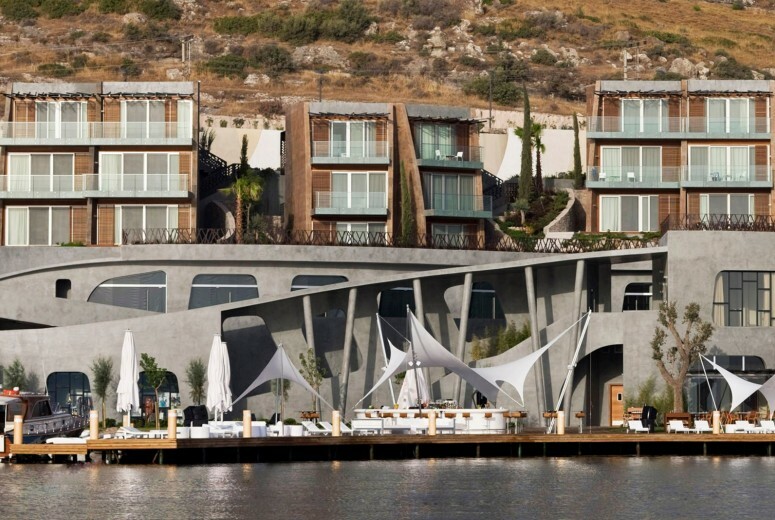 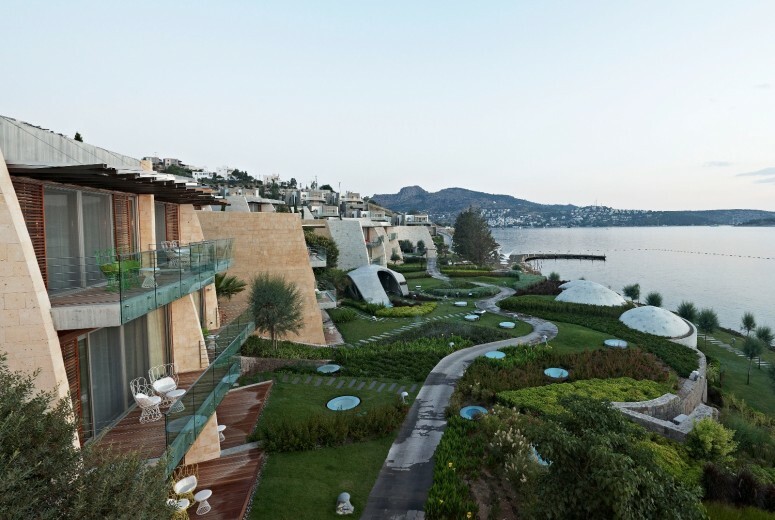 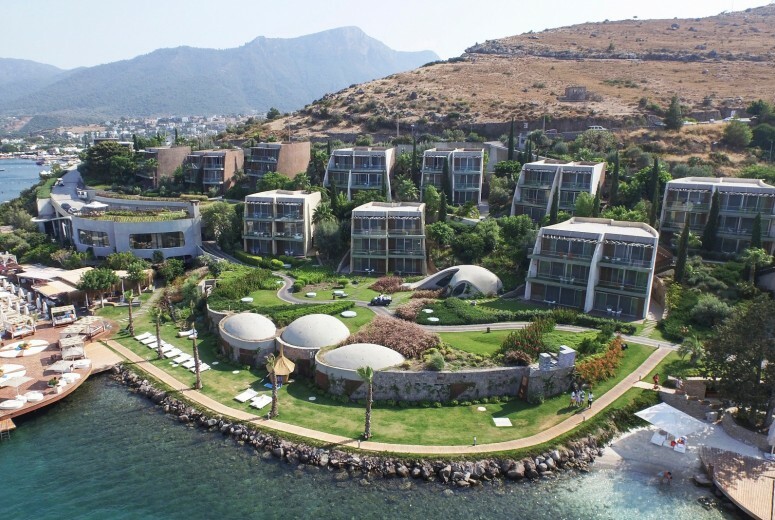 Specifically, the Kuum Property is located in Bodrum, an international destination renowned for its wonderful climate, turquoise waters and cosmopolitan atmosphere. 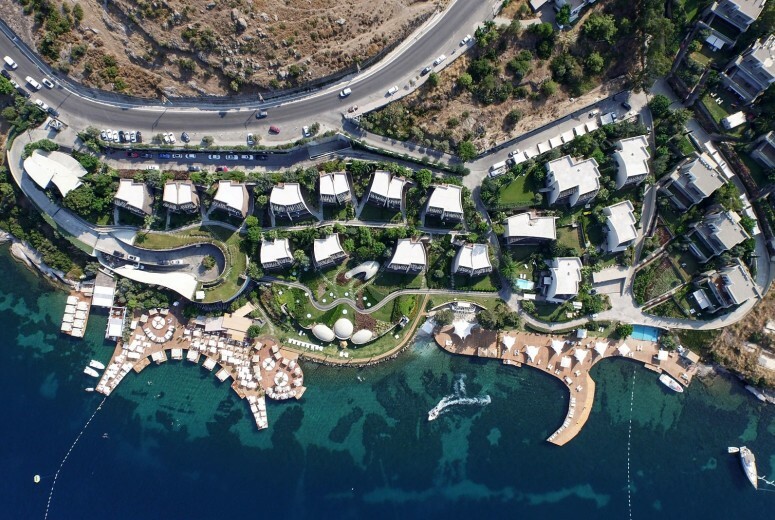 Kuum is conceived as a small settlement, nestled on a seafront bay prominent hillside topography. 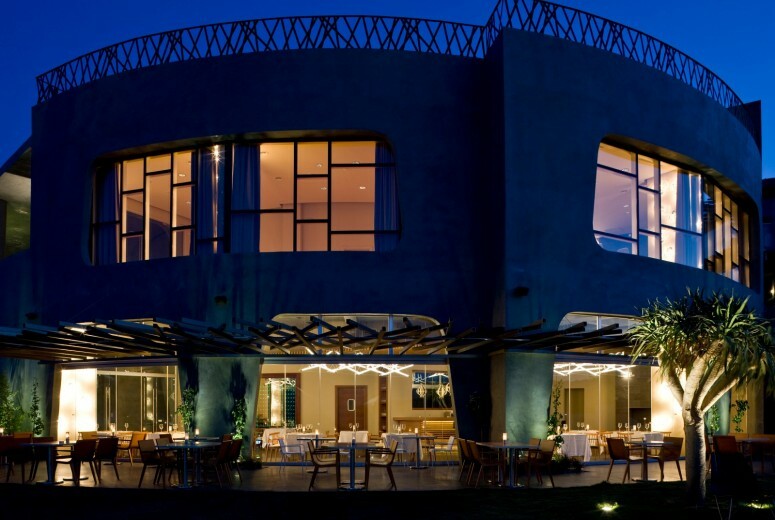 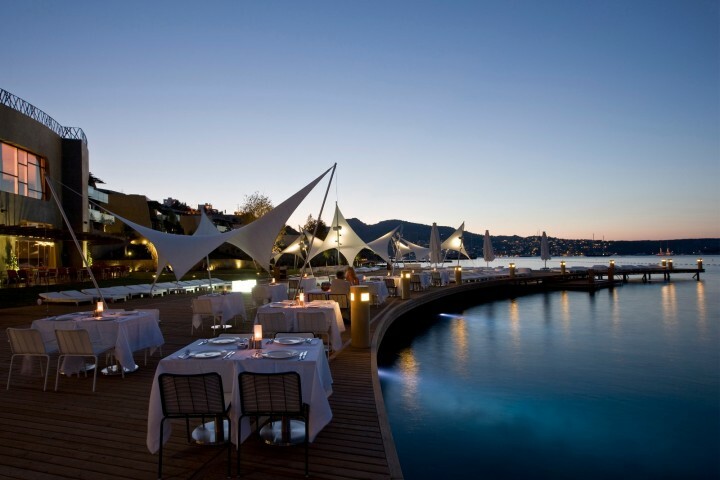 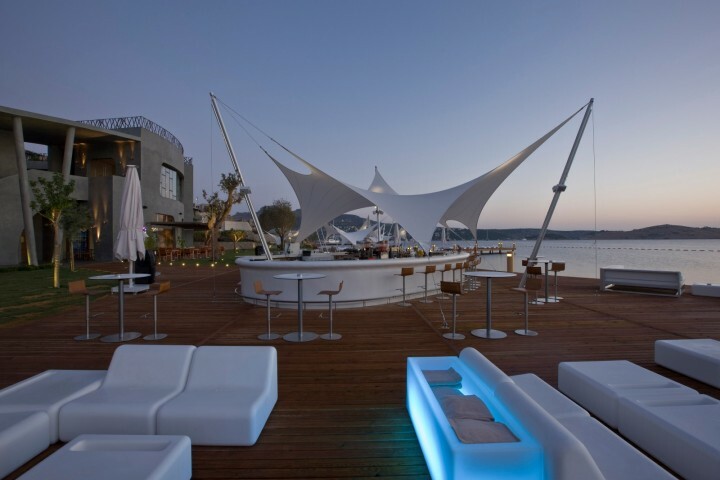 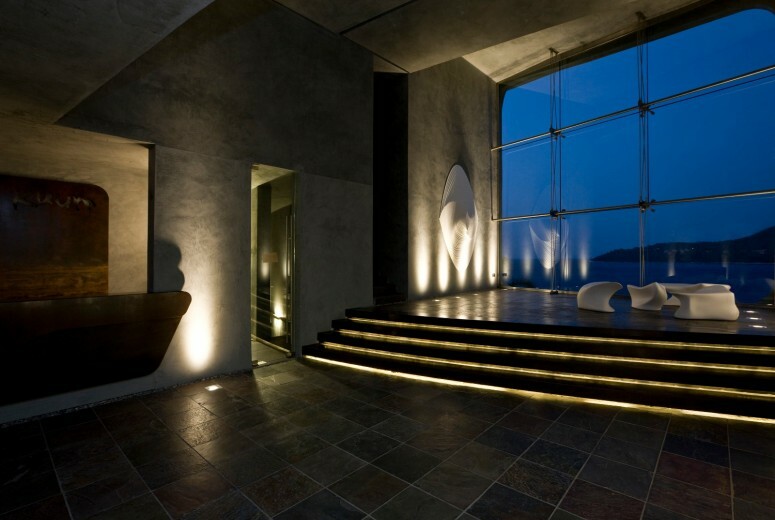 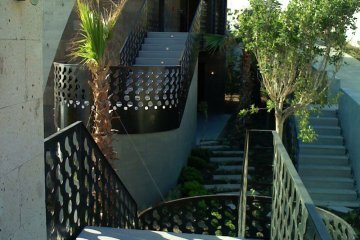 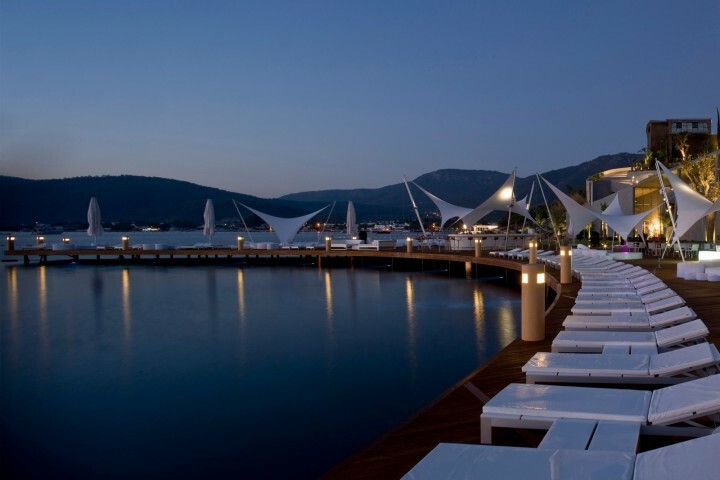 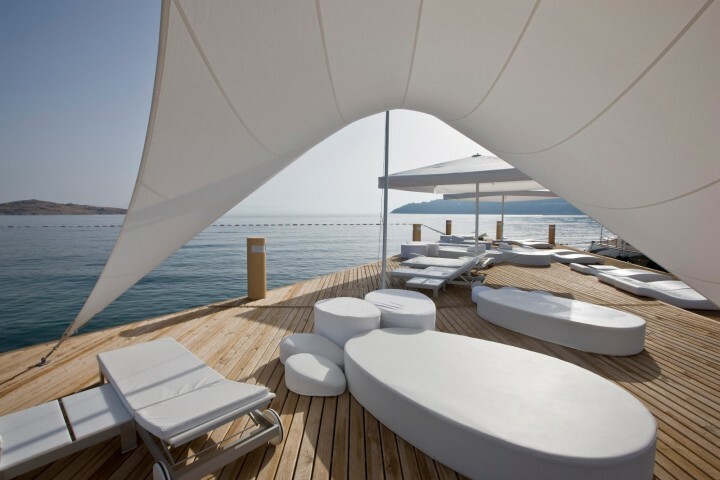 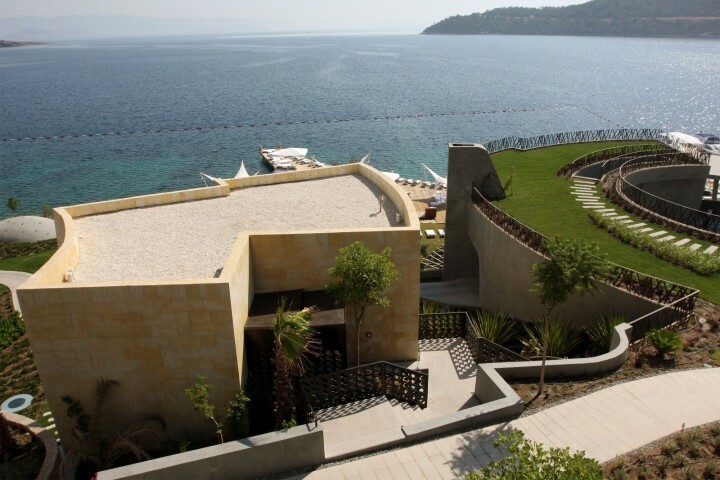 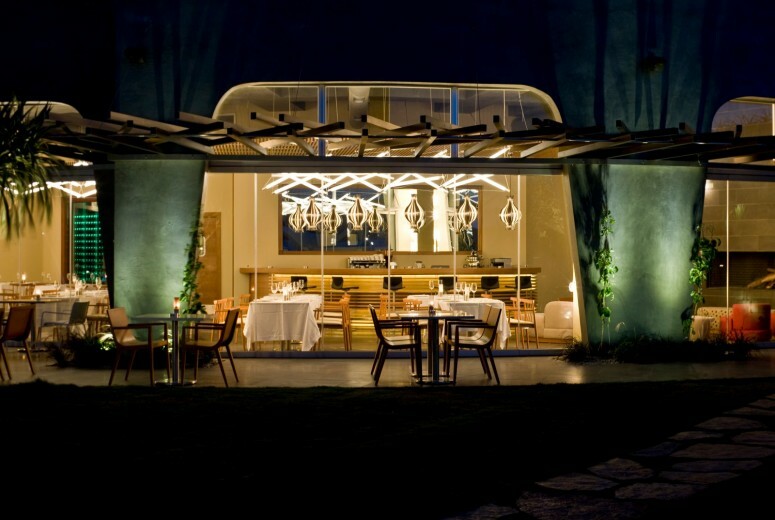 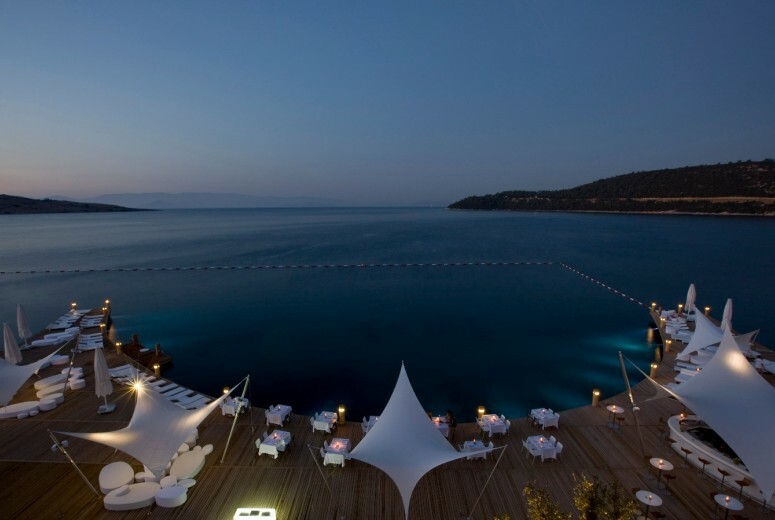 The clients wanted a design that looked and performed differently than what is normally expected in resorts for Bodrum. 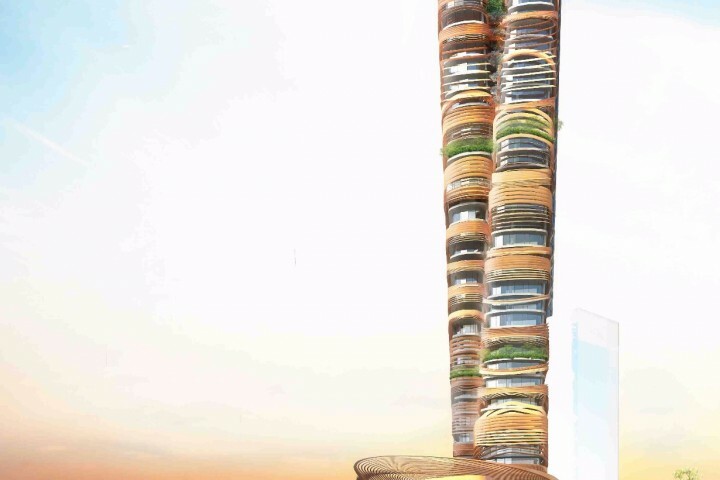 Strict building codes also demanded innovative and flexible approaches to design. 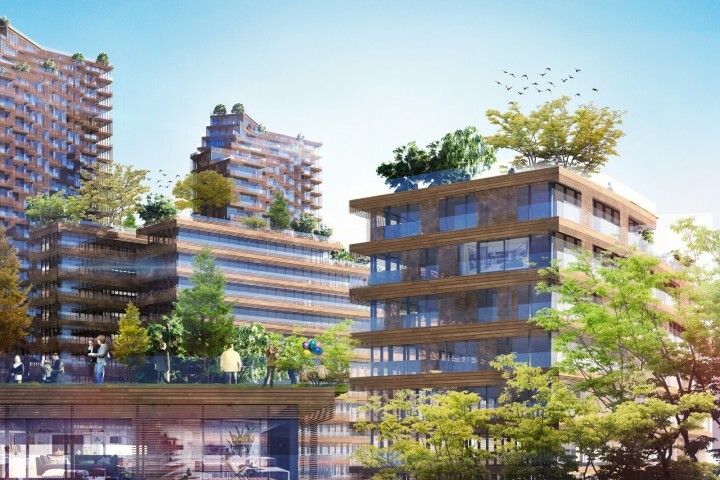 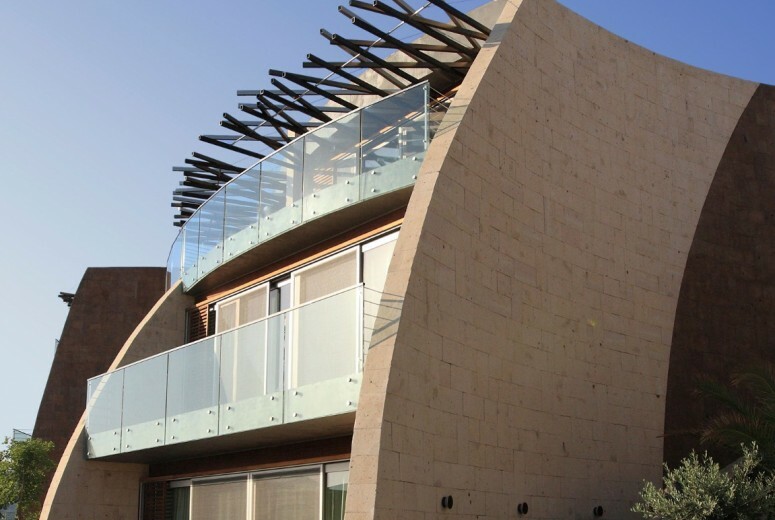 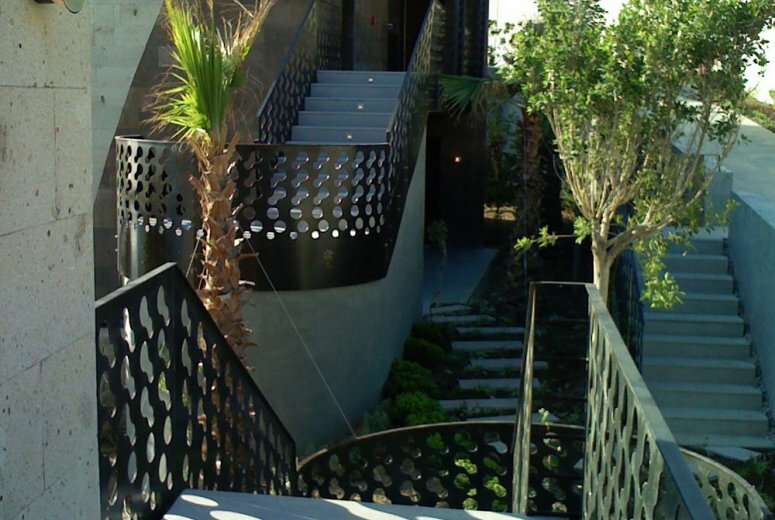 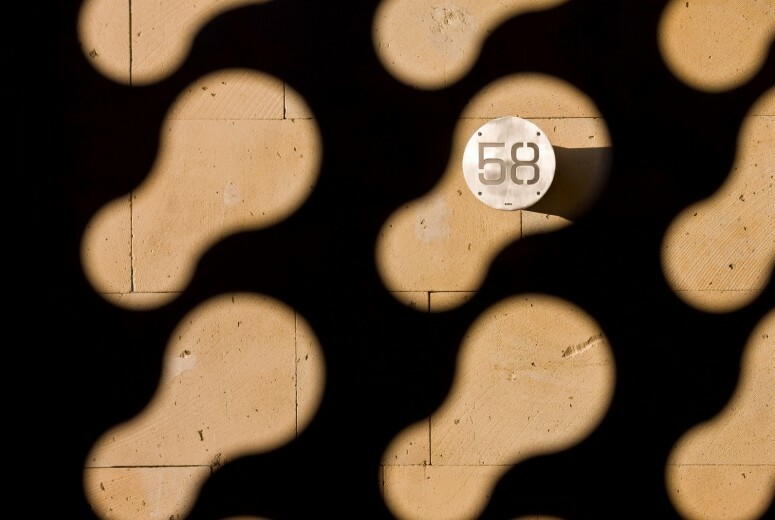 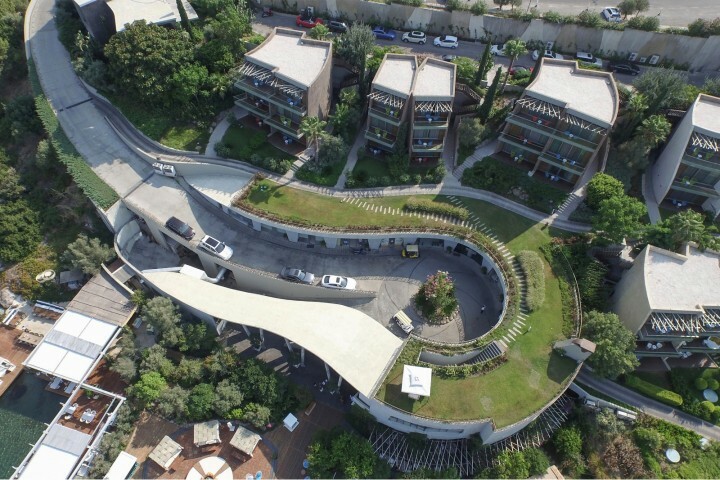 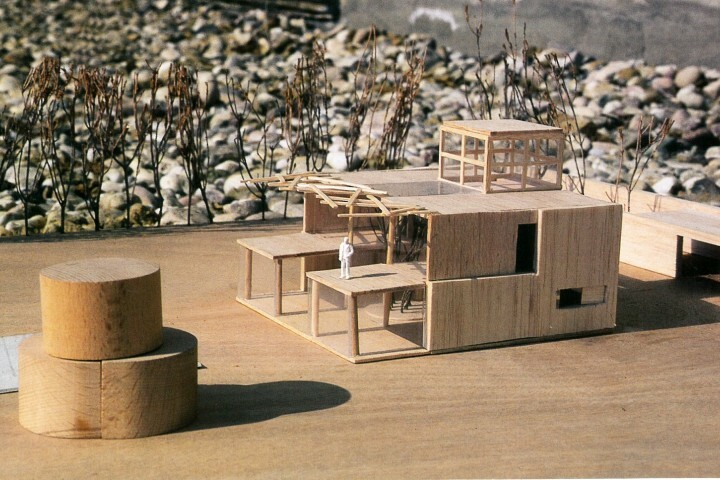 GAD’s aim was to design the complex in harmony with the natural setting to blend and work with the environment. 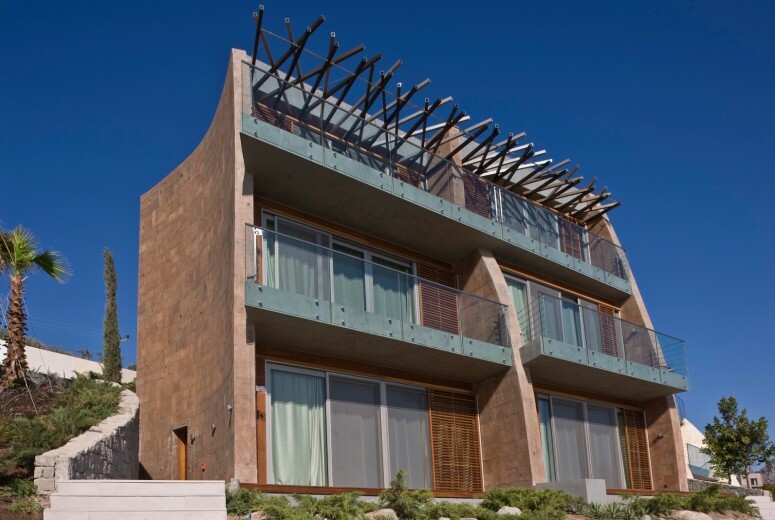 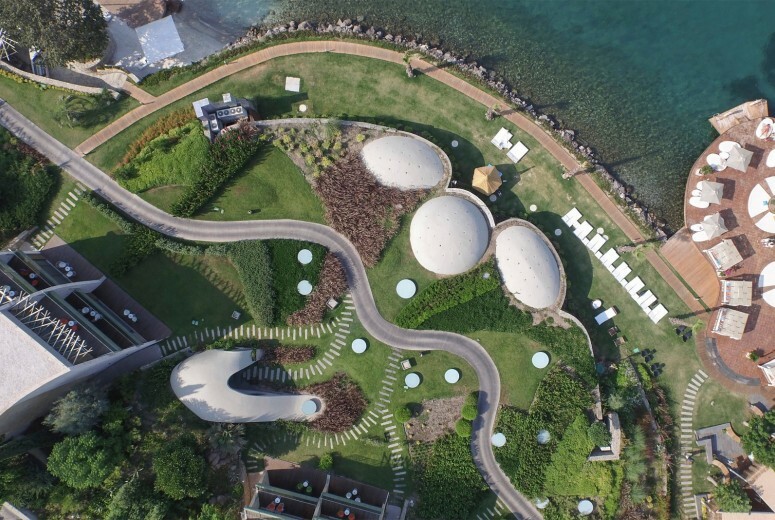 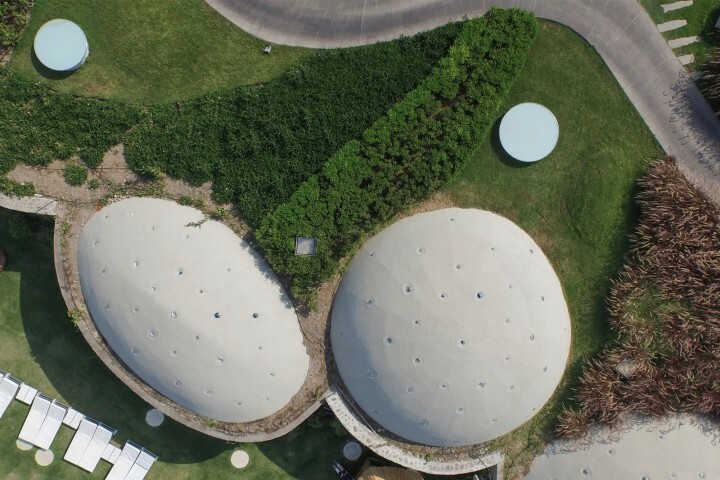 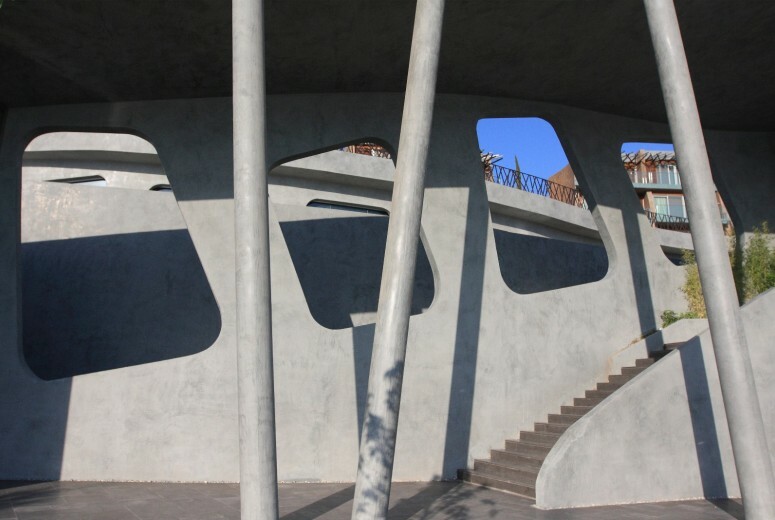 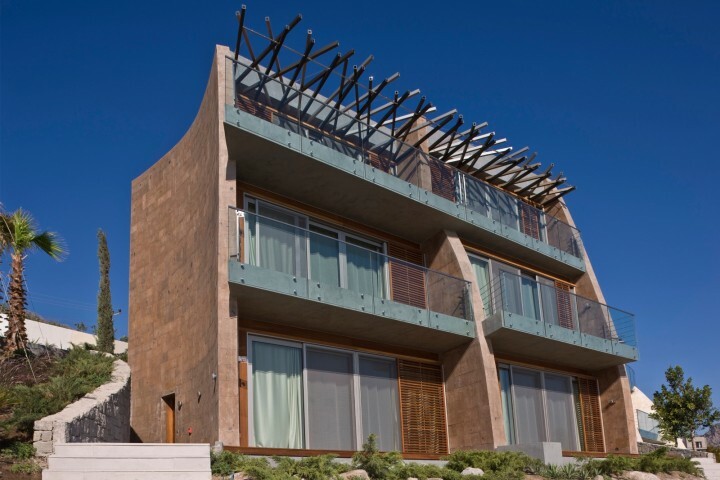 The forms and shapes were molded according to their functions and to capture the magnificence bay views. 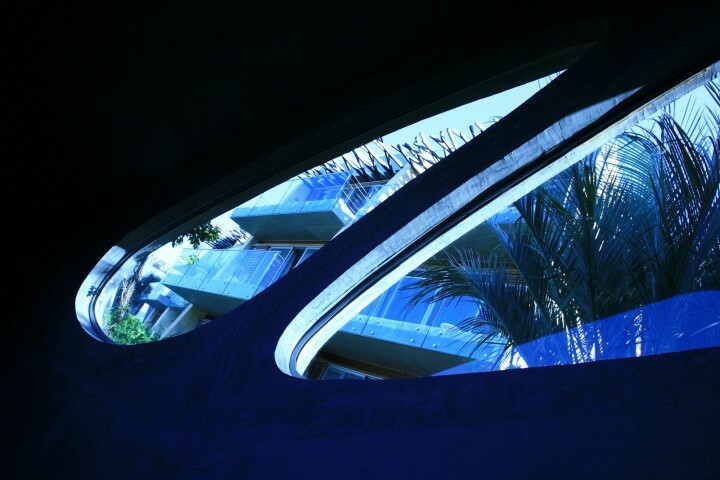 The entire complex is formulated from the same DNA. 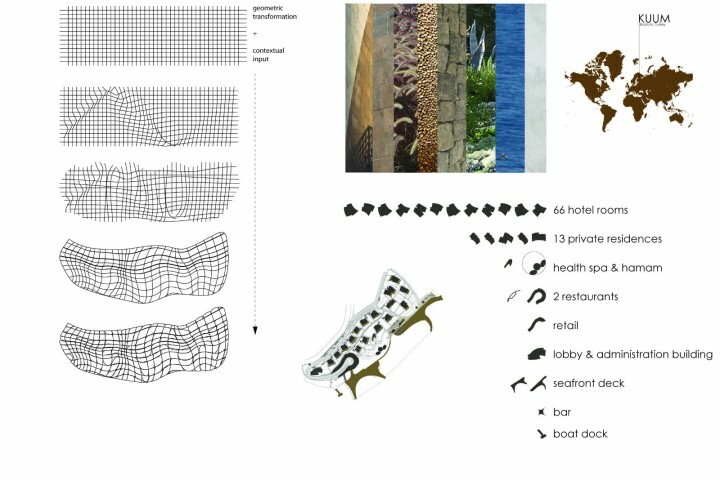 The different building typologies for the resort are organized to serve various programmatic needs creating zones of heterogeneity. 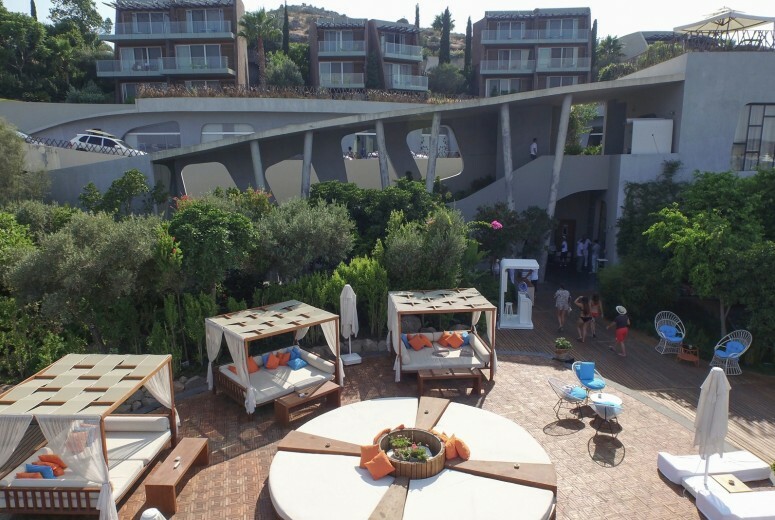 The zones were also further categorized by public and private areas. 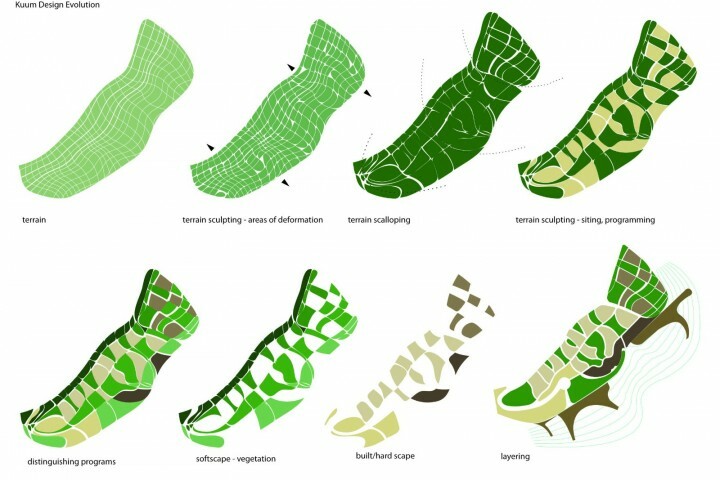 As another way to create variation through the senses, in particular the visual, tactile and olfactory. 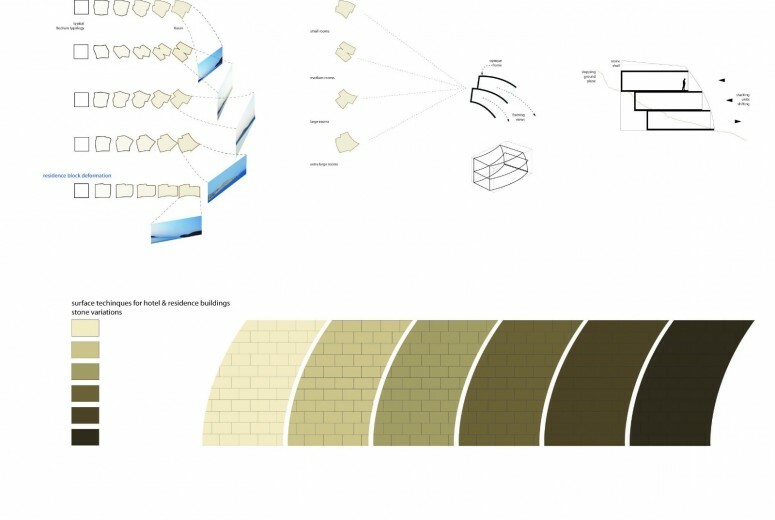 Diversity in materials offers visual and tactile richness and creates wholeness through difference.